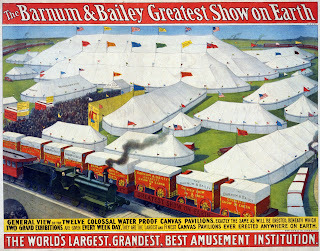 The Barnum & Bailey greatest show on Earth, the world's largest, grandest, best amusement institution. General view of the twelve colossal water proof canvas pavilions. Created in 1899.